1. It has a lot of fresh vegetables that are prepared by the students and teens that grew them, into delicious salads including potato, slaw, kamut, carrot, and a nice green salad. UM Catering helps us with a few of the salads, and much of the roasting (did you know they have an oven that is as big as a room? You can walk into it!). 2. Beer from Draught Works Brewery. Local, delicious, and dedicated to our cause. They give 100% of the beer for the party, which is a big darn deal. 3. 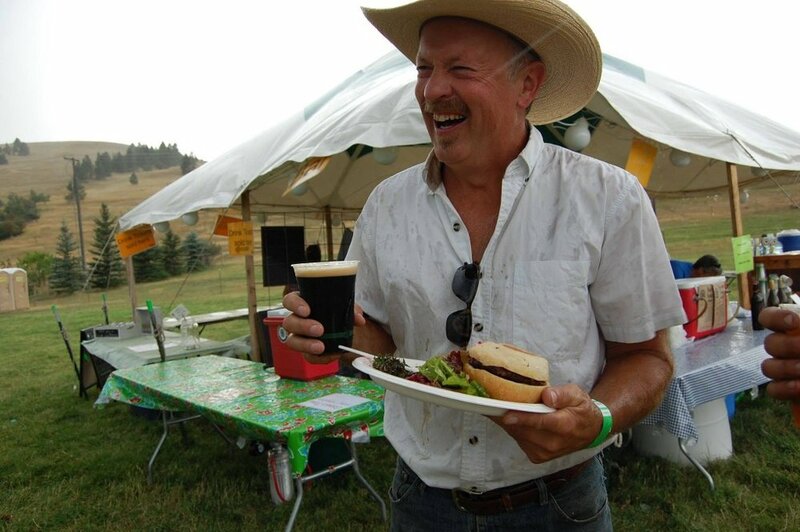 We’re cooking up some of the freshest burgers, grass-finished, and Montana raised, from Oxbow Cattle Company cooked up by UM Catering for you! Also, marinated zucchini for vegetarians and vegans. 4. Fresh music: Mudslide Charley is one of Missoula’s classic bands, and they are particularly hot right now because of their new lead singer, Lee Rizzo. Plus, we’ve got Good Old Fashioned who is one of Missoula’s freshest, newest bands. 5. Bring your dancing shoes! By the end of the night the floor is always hopping, often thanks to the PEAS Farm students who have spent their summer growing veggies for the community, from 20,000 pounds for the Missoula Food Bank to 100 CSA members. 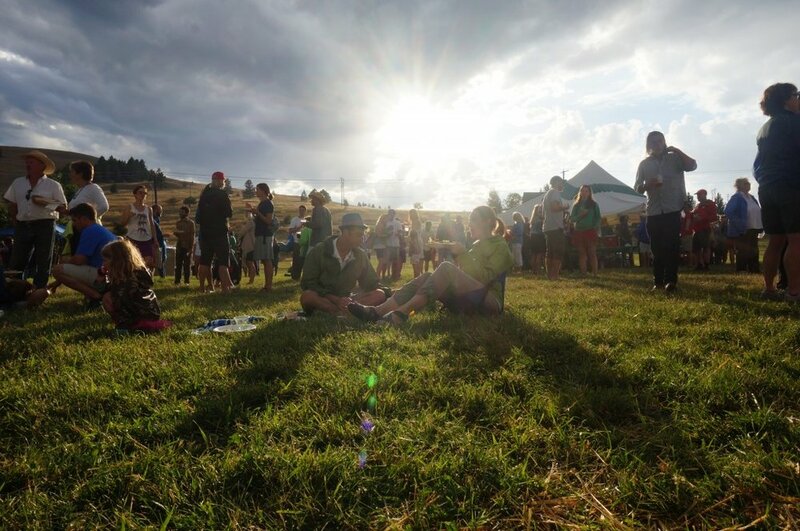 The Farm Party is a celebration for them, and a way to show Missoula a little slice of the magic they’ve taken part in (and made happen) in the last few months. Menu should be posted next week, including all the ingredients!